There are many simple things we can all do at home and when out and about to help protect our beautiful natural environment. To help our residents reduce energy and costs we have partnered with the Southern Sydney Regional Organisation of Councils to develop the Our Energy Future program. This website has tips on how to save energy, install solar power or to obtain a home energy assessment. Insulation is the most effective barrier against the summer heat and the winter cold. Ceiling insulation can help you stop losing between 20 to 40 per cent of your heating and cooling. You can even top up existing ceiling insulation to gain additional performance. Choose energy efficient appliances when purchasing new appliances such as fridges or washing machines. The higher the star rating, the more energy/gas efficient the appliance. If you are comparing two appliances with the same stars, look at the numbers on the energy rating label. The lower the numbers, the more energy/money you save. Use sunlight to dry your clothes rather than the clothes dryer. If that is not possible remember to clean the dryer's filter before each use and don’t overload the dryer. Setting your heating thermostat between 18°C – 21°C can decrease your running costs by up to 10%. In summer, keep your air conditioner’s thermostat between 23°C – 26°C. Always use full loads in your washing machine and dishwasher as this cuts out unnecessary washes in between loads. Install water efficient taps and shower heads, and remember the more stars the more water efficient the appliance, thus saving you money while helping the environment. Only water the garden when necessary. Test the soil with your finger; if it's damp two centimetres down you don't need to water. Dripping taps can amount to litres of wasted water and money each day. Make sure your taps are switched off properly. If your hose continues to drip, check or replace your hose fittings. If your tap continues to leak, get them fixed. For more information on saving water tips visit the Energy NSW website. Local native shrubs, trees and grasses will provide a safe haven for native animals and help them move safely through your neighbourhood. Open lawn consumes large amounts of water and allows for certain unwanted bird species to thrive (such as Indian Mynas). Instead, convert lawn to native bushland with various grasses, shrub and tree heights. Protect our bushland and local parks by never dumping weeds, prunings or grass clippings as they introduce new weeds and spread others. When walking your dog keep your dog on-lead unless in an off-leash area. This will help protect the beautiful native birds from over-excited dogs. And don't forget to pick up your dog droppings and place them in a bin. Place your litter in a bin or take it home as every piece of litter (including apple cores and orange peels) all impact negatively on the native plants and animals that live in your neighbourhood. If you cannot find a bin or the bin is full please take your rubbish home. We have many beautiful beaches, wetlands and bushland areas to visit. Many of these areas provide a safe home to plants and animals so rare that they are threatened with extinction. 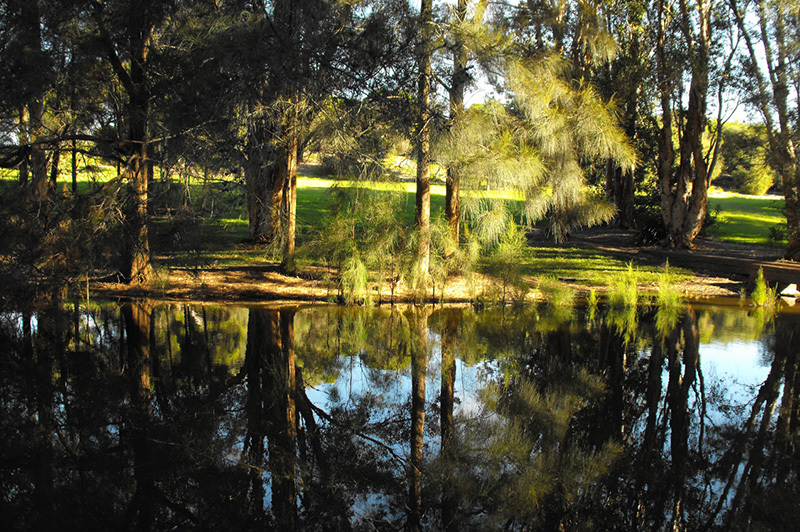 Visit Council's many parks to see the range of places that are perfect for a local weekend wander. Community gardens provide our residents with the opportunity to grow fruit and vegetables in a social setting, it's a perfect opportunity for you to meet other like-minded individuals. If you have a proposal for a community garden in your area, please complete the Community Gardens Expression of Interest form. Come and enjoy the natural environment as we work together to help protect and restore Bayside's natural environment through our Bushcare program.